BERLIN -- Former Porsche SE Chief Financial Officer Holger Haerter was charged along with two other company managers over statements made to a bank when the company refinanced a 10 billion-euro ($13.2 billion) loan. The three men are accused of understating Porsche's liquidity needs by 1.4 billion euros if all purchase options the company held on Volkswagen shares had been exercised, Stuttgart prosecutors said in an e-mailed statement Tuesday, without disclosing any names. Haerter will fight the charges, his attorney, Anne Wehnert, said in an e-mailed statement. The case focuses on the failed attempt by the carmaker to acquire its larger competitor. Investors claim Porsche misled them by denying, throughout much of 2008, that it intended to acquire VW. Porsche said in October of that year it controlled most of VW's common stock, causing the shares to surge as short-sellers raced to cover their positions. Porsche has denied the allegations. "An economics university professor specializing in options trading confirmed after a thorough review of the facts, that the prosecutors' method regarding the alleged liquidity need isn't viable so the statements given to the bank were correct," Wehnert said. The bank didn't say it hadn't been adequately informed, she said. The managers also withheld some information about put options tied to VW shares that Porsche sold, prosecutors said. The charges today reflect "the position of the state prosecutor," Frank Gaube, a Porsche spokesman, said in a telephone interview. "This is not a court ruling and until there is a ruling there is a presumption of innocence." The bank mentioned by the prosecutors continues to be involved in the company's refinancing, Gaube added. 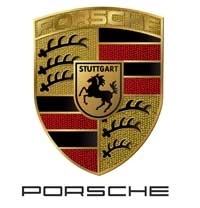 Porsche SE is the publicly traded holding company that controls the common shares of Volkswagen and owns 50.1 percent of the sports car maker. VW owns the remaining 49.9 percent of Porsche, the automaker. The portion of the probe investigating allegations Porsche executives Wendelin Wiedeking and Haerter manipulated the price of VW shares is continuing and may take at least until the middle of the year to be resolved, the prosecutors said. "Those investigations have turned out to be very complex and time consuming," prosecutors said. A Stuttgart court ruled last week that Ferdinand Piech violated his duties in 2009 when commenting about the VW options transactions. Piech, chairman of VW and also a member of Porsche's supervisory board, was wrong to tell reporters he didn't know the magnitude of Porsche's option risks and that he hadn't sought clarity about it, court said. Porsche has said it will ask Germany's top civil court for permission to appeal the Stuttgart ruling. Piech said the court's decision was wrong. A year ago, the Stuttgart prosecutors said their probe into Wiedking and Haerter had "solidified" suspicions Porsche didn't adequately inform the market between 2007 and 2009 about its intentions to take control of VW. They also added breach of trust allegations over the use of derivatives, saying the instruments may have put Porsche at the risk of bankruptcy at the time. Porsche and VW agreed to combine in August 2009 and planned a full merger, after Porsche failed with its hostile bid for VW, the sports car maker's biggest supplier. The Stuttgart probe and investor lawsuits in the United States and Germany prompted VW to consider alternatives to the 2009 agreement, under which the merger was to be completed by the end of 2011. To avoid further delays, VW may now drop the merger and instead buy Porsche's car-making business, two people with direct knowledge of the situation said in November. Volkswagen has said that the merger with Porsche will boost profitability and save 700 million euros. Short sellers of VW stock and other investors sued Porsche in the United States and Germany, claiming it secretly piled up VW shares and later caused the shareholders losses. There are four suits pending at a court in Braunschweig, Germany, with plaintiffs seeking a total of more than 2 billion euros in damages.